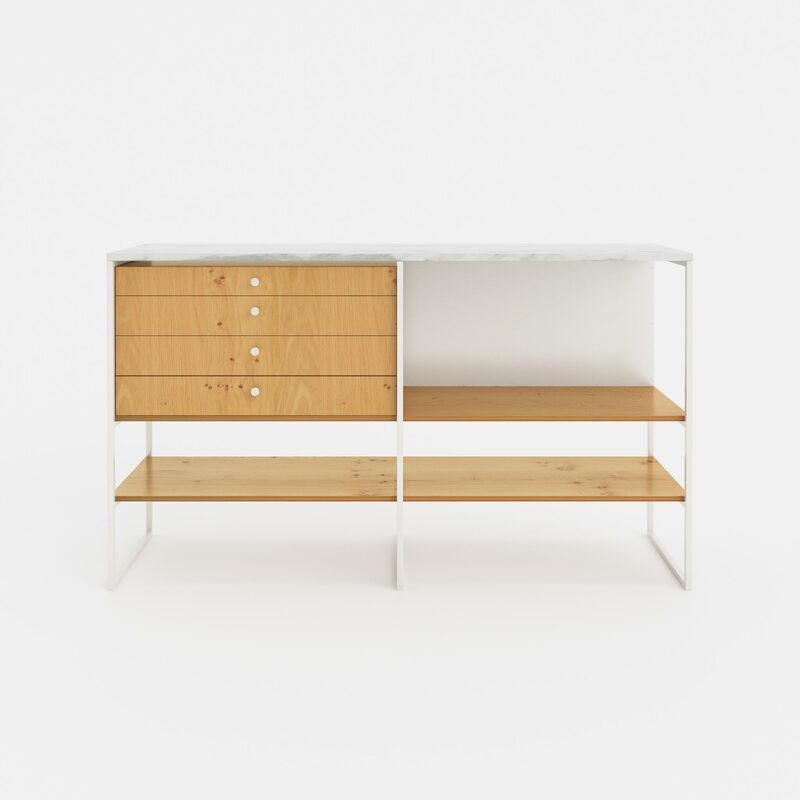 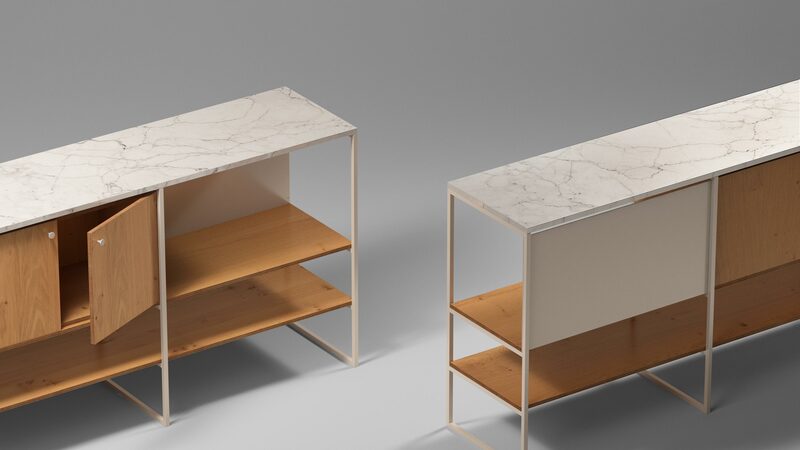 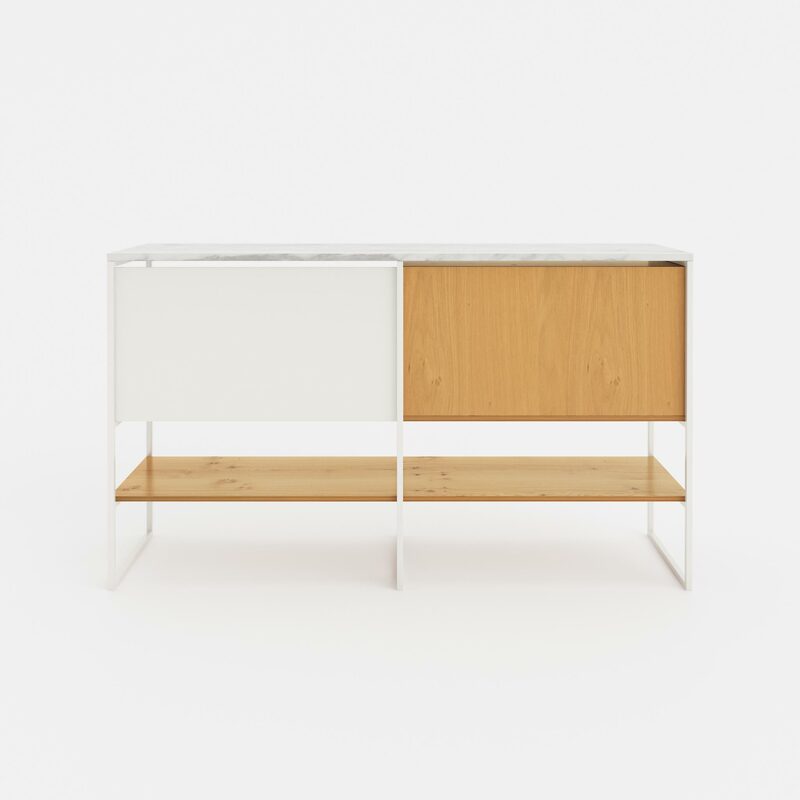 A credenza that comes in two colour variations, consisting of crisp powder coated frames, high quality veneered panels and topped of with a pristine marble or granite top. 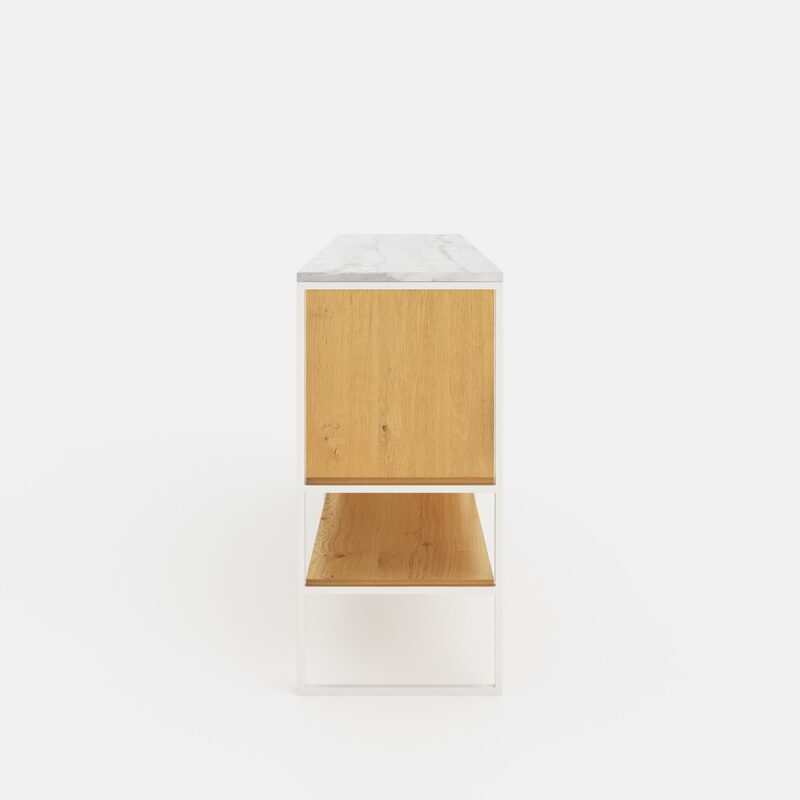 Created in the spirit of modernism, the ﬁrst collection by Modiste features honest construction methods, long lasting materials and some hand crafted details. 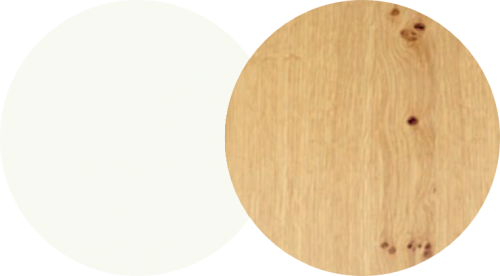 with 100% organic, Chinese wood oil and topped with a hardwax coating.